The Space Needle and Seattle skyline. Photo by: Space Needle. Here’s a summer travel tip that will please your family, visiting friends and relatives and your wallet. 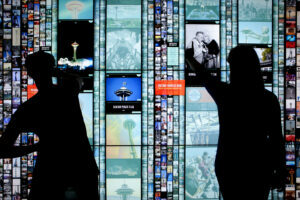 Seattle CityPASS gives you a booklet of admission tickets to five of the city’s must-see visitor attractions that saves you 42 percent compared to combined regular box office prices. 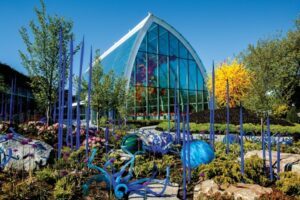 The ticket booklet includes the world-famous Space Needle, Seattle Aquarium and Argosy Cruises Harbor Tour, as well as your choice between the EMP Museum or Woodland Park Zoo, and another choice between the Pacific Science Center or Chihuly Garden and Glass. Combined, that makes a pretty full itinerary. And on top of regular offerings, some attractions have special exhibits and features going on this summer. 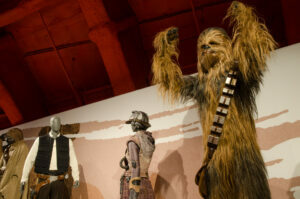 This summer’s Star Wars costume exhibit at the EMP Museum. Photo: Brady Harvey/EMP Museum. For example, The EMP Museum has Wild Blue Angel: Hendrix Abroard, 1966-1970 through August 26, and Star Wars and the Art of Costume now through October 4. The museum’s permanent collections are pretty out of this world, too, with lots of science fiction and music of many genres and odes to the grunge rock era and Jimi Hendrix. The museum is the brainchild of Microsoft co-founder Paul Allen who owns the world’s largest collection of Hendrix memorabilia. 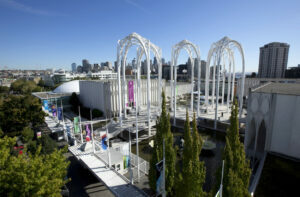 Also located on the 74-acre Seattle Center campus is the Pacific Science Center. One of the country’s noted science centers, this one features everything from a Tropical Butterfly House to robotic dinosaurs of the Mesozoic Era and many more health and science exhibits. Your CityPASS booklet includes one regular IMAX® movie in addition to your entrance ticket. Learning about the Emerald City from the Space Needle observation deck. Photo: Space Needle LLC. Right next door, the 605-foot Space Needle is Seattle’s ever-futuristic civic icon and boasts an amazing 360-degree-view of the city, Cascade and Olympic Mountains and Puget Sound. But the Needle offers more than just a phenomenal view. A new mobile app and digital kiosks allow guests to transport themselves to other attractions with alternate views to learn more about the city. You also take away cool some personalized digital photos. Photo: Chihuly Garden and Glass. Six hundred feet below the Space Needle is Chihuly Garden and Glass, home to the world’s largest collection of Dale Chihuly glass art. From July 7 through August 25, enjoy live musical performances with Summer Nights in the Garden. Or, join a daily Summer Spotlight Talk to learn more about the art in the galleries of the Exhibition Hall, Glasshouse and Garden. 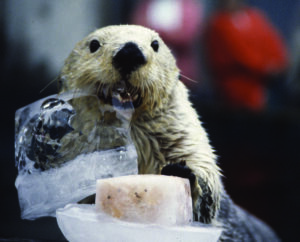 July 25 through August 2, the Seattle Aquarium has Wild Sharks, a program with daily talks and activities about the wild sharks that live right here in Puget Sound. Don’t worry – as far as sharks go these are fairly bashful and benign. The otters are not bashful at all and a total blast to watch. And the aquarium does an amazing job of representing the varied Puget Sound sea life throughout its permanent exhibits. Argosy Cruises Harbor Tour. Photo: Argosy Cruises. Visitors and locals alike want to get out on the water in the summertime. 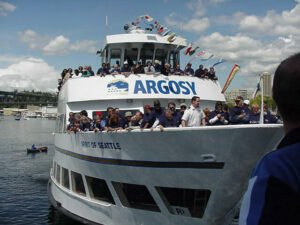 What better, quicker way than a one-hour harbor tour with Argosy Cruises. This live-narrated cruise of Elliott Bay mingles with ferries, freighters and sea kayaks. And it’s the best vantage of our spectacular skyline, in my opinion, with two mountain ranges and Puget Sound in the distance. Photo credit: Ryan Hawk/Woodland Park Zoo. The Woodland Park Zoo is one of the foremost naturalistic zoos in the country with award-winning African Savanna and Northern Trail exhibits. This summer, check out the daily activities link to see what’s happening. 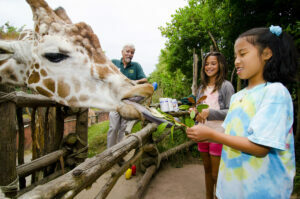 You don’t want to miss that giraffe feeding – it’ll put a smile on your face for the rest of the day. The Seattle CityPASS booklet is valid for nine consecutive days beginning the day of first use. Visit the attractions in any order you wish. You can buy online before you visit Seattle and choose a delivery option during checkout – e-mail voucher or you can have a ticket booklet shipped to you. Or, once you arrive in Seattle, you can purchase a ticket booklet at any CityPASS attraction for the same low price. 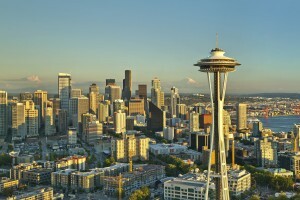 A bonus tip or two: July 6-17, you can enter the Visit Seattle with CityPASS getaway. 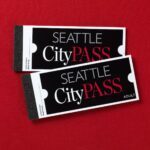 The prize package includes two CityPASS ticket booklets to explore five of Seattle’s iconic attractions, two nights at The Palladian Hotel, and $250 to dine at El Gaucho. By the way, if you’re traveling to any of the following cities (or live there and want to be a tourist in your own back yard), you’ll find CityPASS there, too: Atlanta; Boston; Chicago; Philadelphia; Dallas; Houston; Toronto; Tampa; New York; San Francisco; and Southern California.